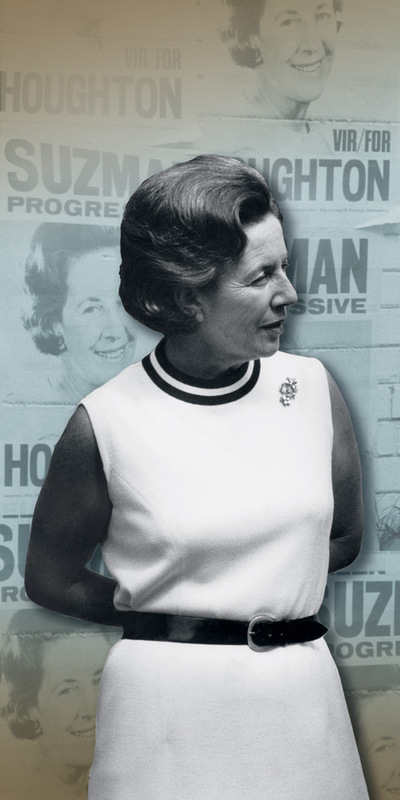 Helen Suzman, an iconic South African leader who devoted her life to the fight against apartheid, is the focus of a graphic panel traveling exhibition, “HELEN SUZMAN: Fighter for Human Rights,” on display at Austin College from September 15 through October 10 in the foyer of Abell Library. The library is open Monday through Thursday, 8 a.m. to midnight; Friday, 8 a.m. to 6 p.m.; Saturday, 1 to 5 p.m., and Sunday, 1 p.m. to midnight. The exhibit is free and open to the public. 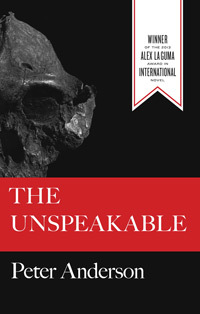 In conjunction with the exhibit, Austin College is hosting “South Africa: Heroic Past to Uncertain Present,” inviting members of the campus community and beyond to view the exhibit and hear from Peter Anderson of the College’s English faculty as he discusses his critically acclaimed novel, The Unspeakable, released this summer. Originally from South Africa, Anderson’s book is a suspenseful story set in his native land and, told in the first person, centers on the conflicts of being a white male under apartheid rule. Anderson will read from his book during two special exhibit events: Wednesday September 17, 4:30 to 6 p.m. and Saturday, September 20, 1:30 to 3 p.m. in Abell Library. Reserve your FREE seat with Madison Mathews. After the Austin College event, the exhibition will travel to Paul Quinn College, Southern Methodist University and the University of Texas at Dallas. Suzman was a member of the South African Parliament for 36 years, serving from 1953 to1989. She was the sole opposition voice condemning apartheid during the 13-year period (1961-1974) when she was the governing body’s only member of the Progressive Party. The exhibition explores nearly four decades of Suzman’s life and vision through photographs, personal letters, quotations from speeches, and news articles. The exhibit was organized by the Isaac and Jessie Kaplan Centre for Jewish Studies and Research at the University of Cape Town, South Africa, under its director, Dr. Milton Shain. Conceptualized, researched, and written by Millie Pimstone and graphically designed by Linda Bester, the exhibition tells of the animosity, anti-Semitism, and intimidation Suzman faced throughout her career. It also highlights her enduring friendship with Nelson Mandela, which began in early 1967 when she met him at the infamous Robben Island Prison where he was a political prisoner. 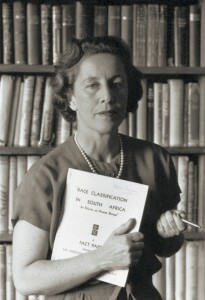 Suzman was nominated twice for the Nobel Peace Prize in recognition of her contribution to the pursuit of justice in South Africa. She received the United Nations Award of the International League for Human Rights in 1978, and in 1989, Queen Elizabeth conferred on her an Honorary Dame Commander (Civil Division) of the Order of the British Empire. Suzman died on January 1, 2009, at the age of 91. Flags across South Africa were flown at half-mast while tributes poured in from around the world. The Suzman exhibition was inaugurated in the United States at Georgetown University’s Inter-Cultural Center Galleria with an opening reception in April that featured Dr. Frances Suzman Jowell, Helen Suzman’s daughter, and Joseph Lelyveld, a Pulitzer Prize-winning author and former executive editor of The New York Times. Lelyveld was a close ally of Suzman when he served as the newspaper’s South African political correspondent. The exhibition was on display in the Rotunda of the Russell Senate Office Building in Washington, D.C., followed by installations at St. Phillips College in San Antonio, Texas; Texas Southern University in Houston; the Civil Rights Museum in Memphis; Morehouse College in Atlanta; and The University of Texas–Austin. See more information about the HELEN SUZMAN: Fighter for Human Rights exhibition. The M.B. and Edna Zale Foundation is a private family foundation with a mission to support individuals and families as they build productive and meaningful lives. The foundation provides grants for education, early childhood development, job training, hunger and homelessness relief, health care, and Jewish culture and continuity in areas where family members live, work, or have interests.